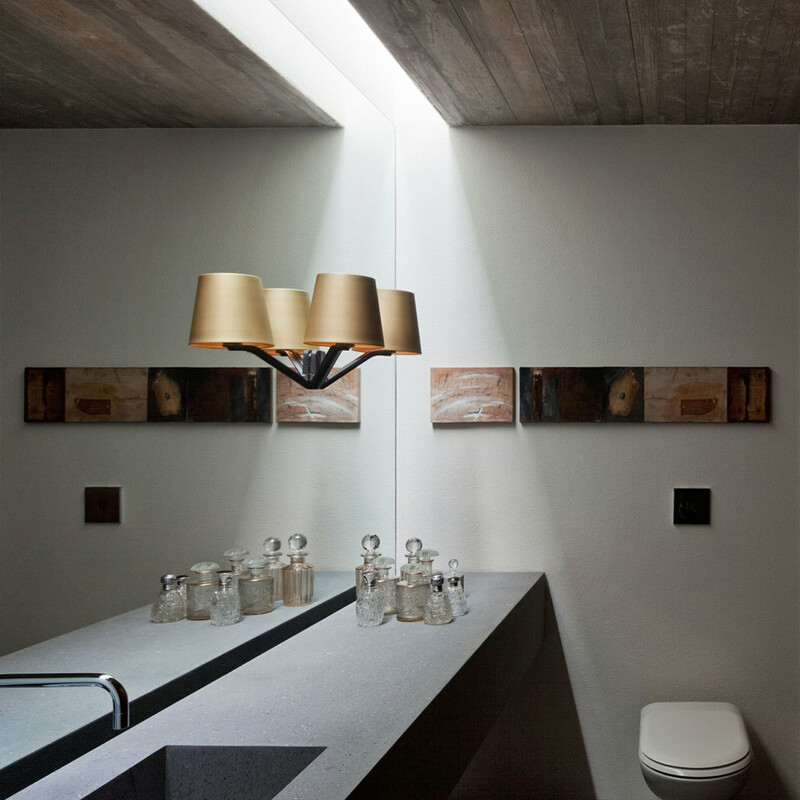 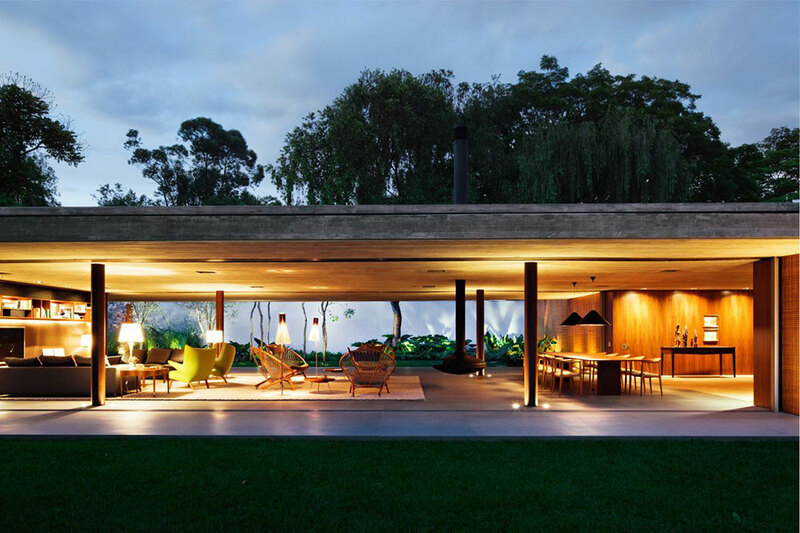 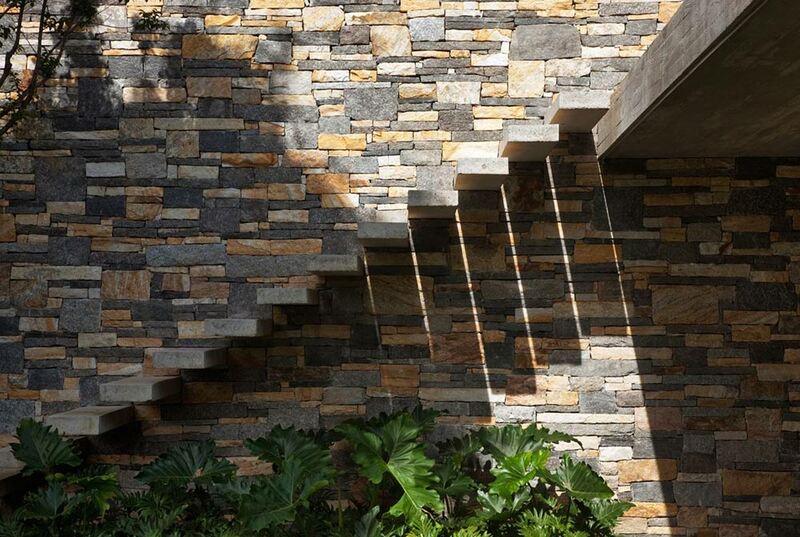 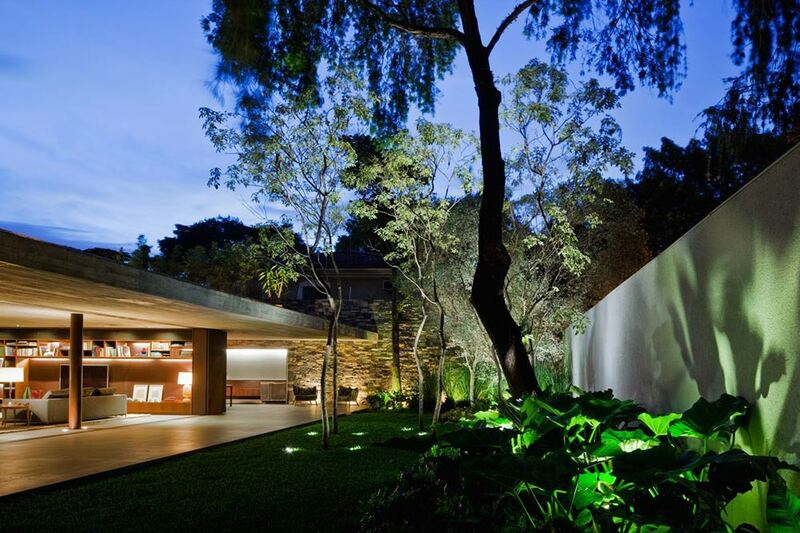 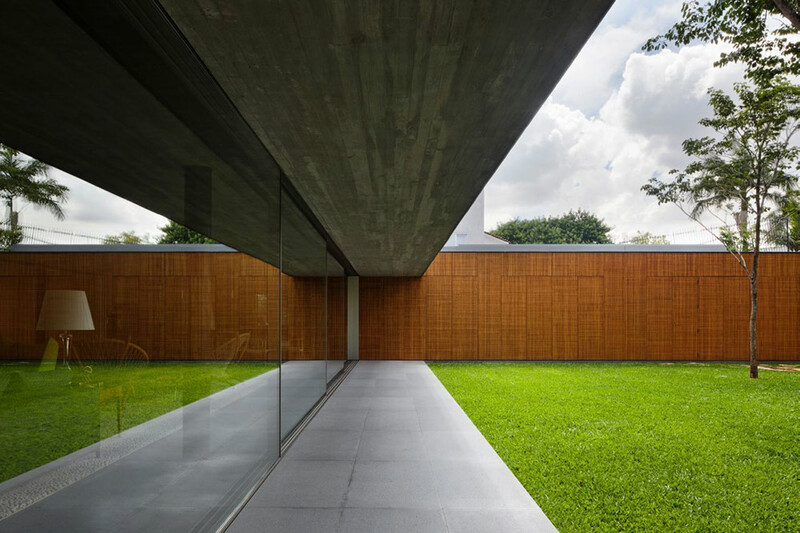 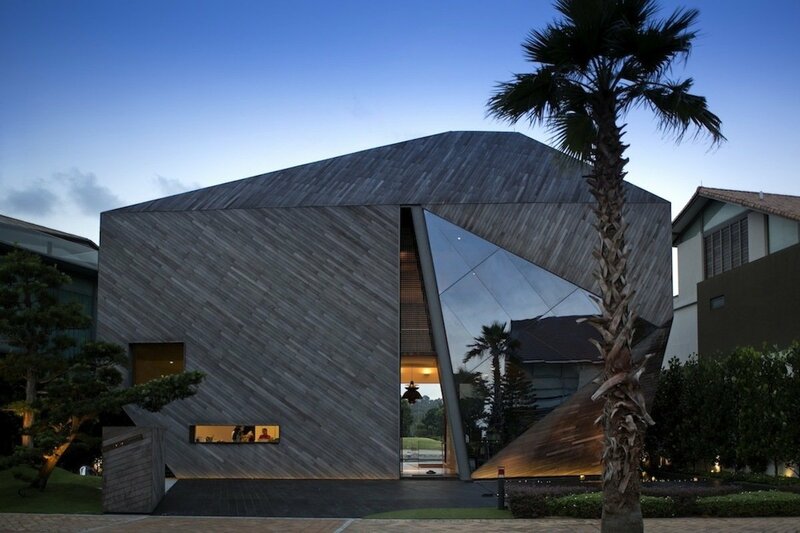 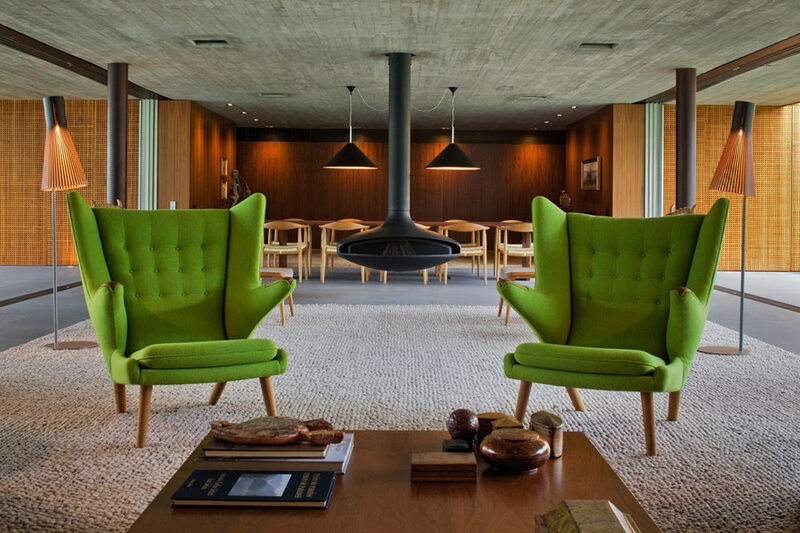 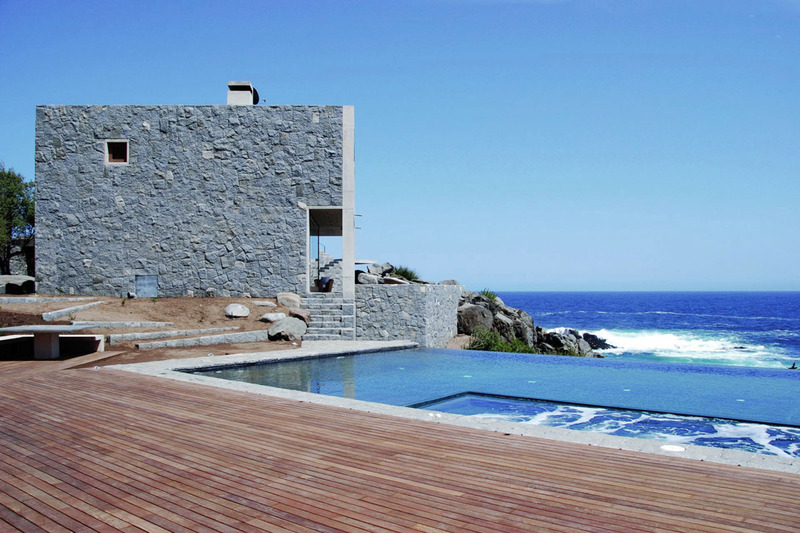 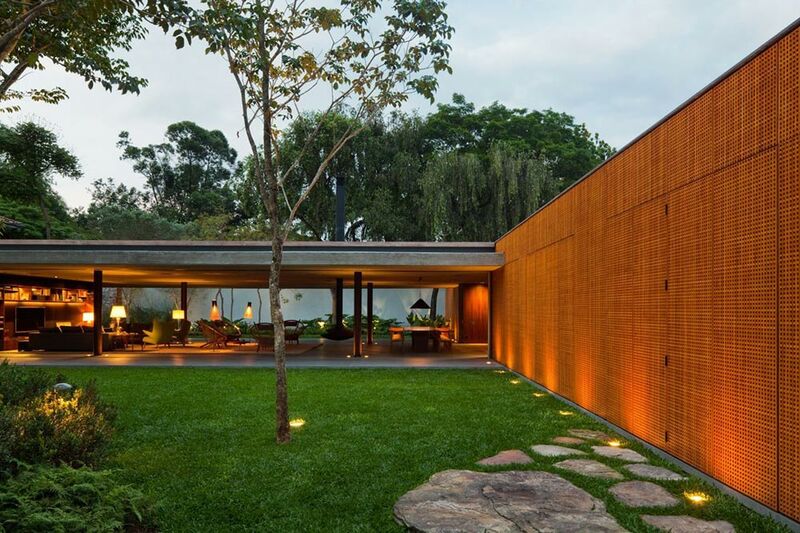 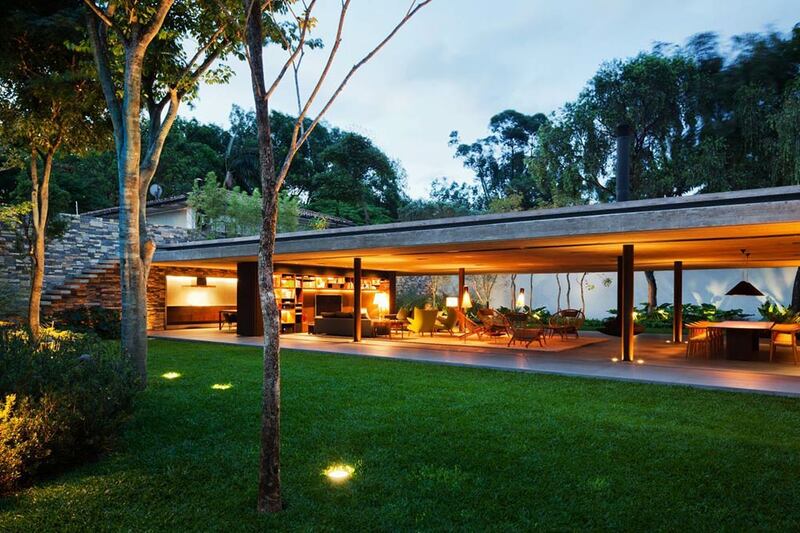 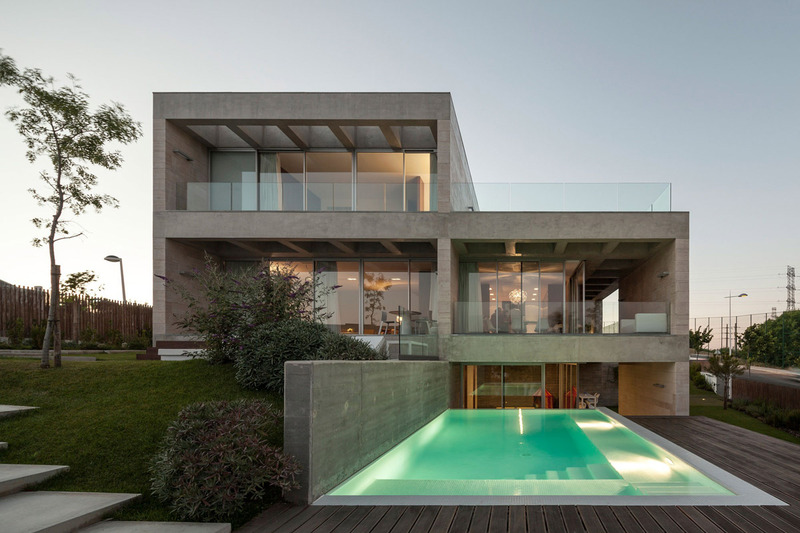 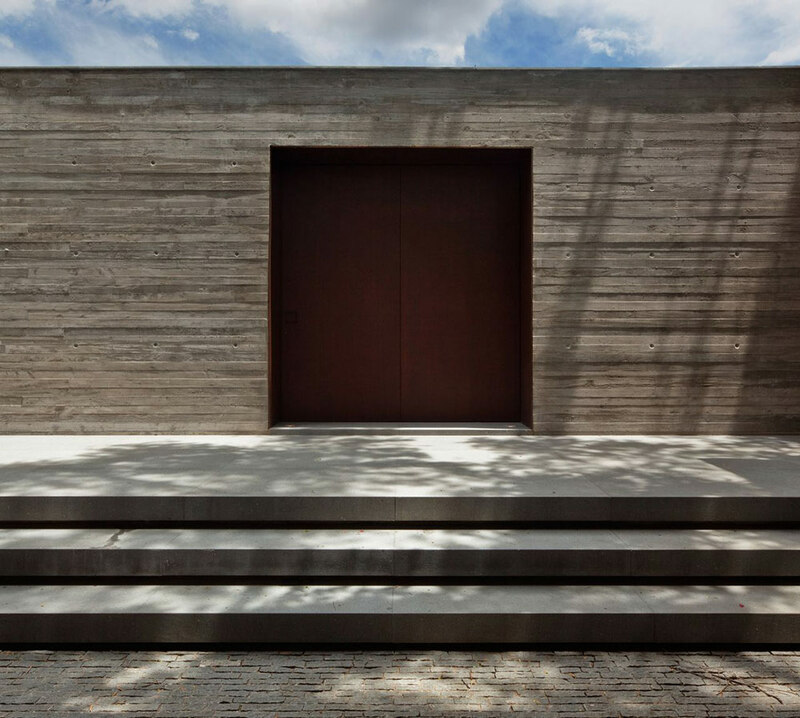 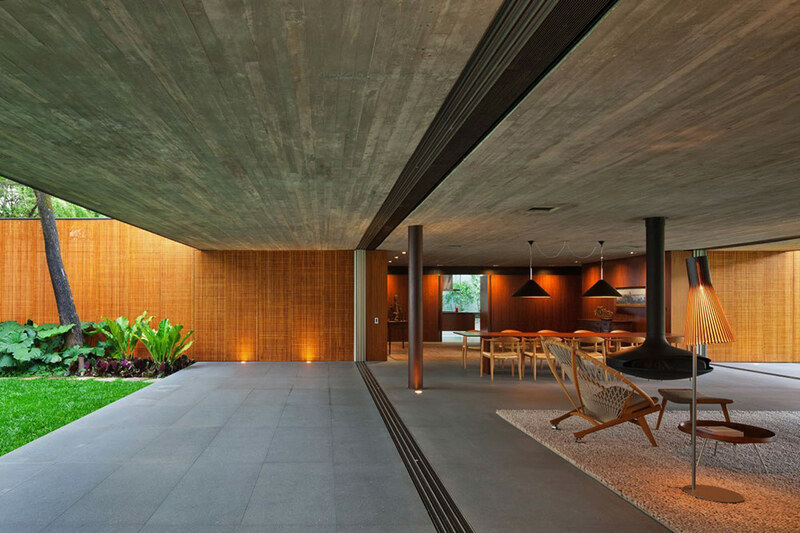 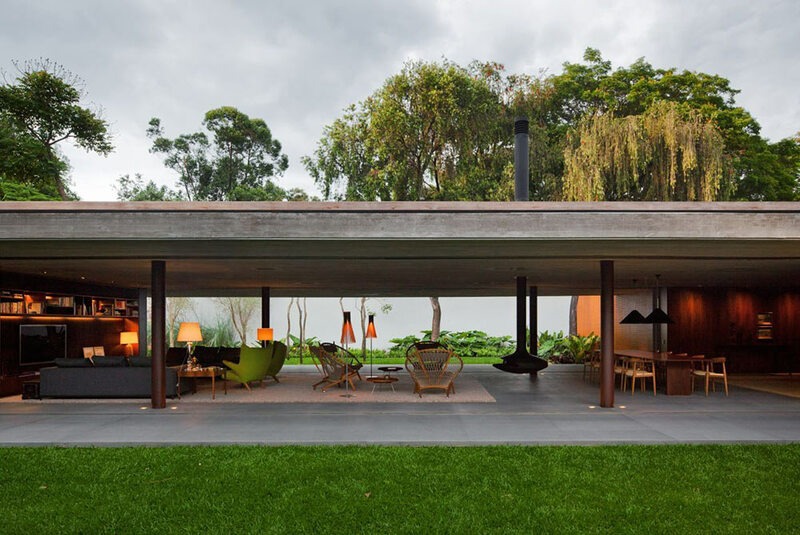 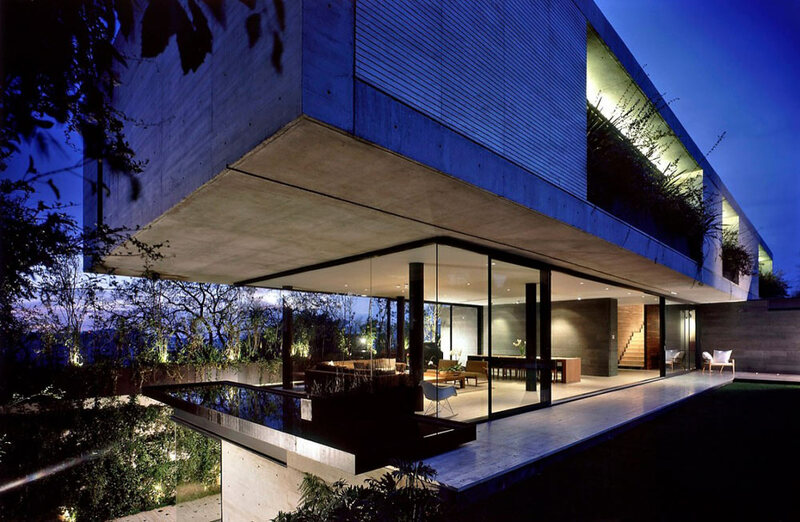 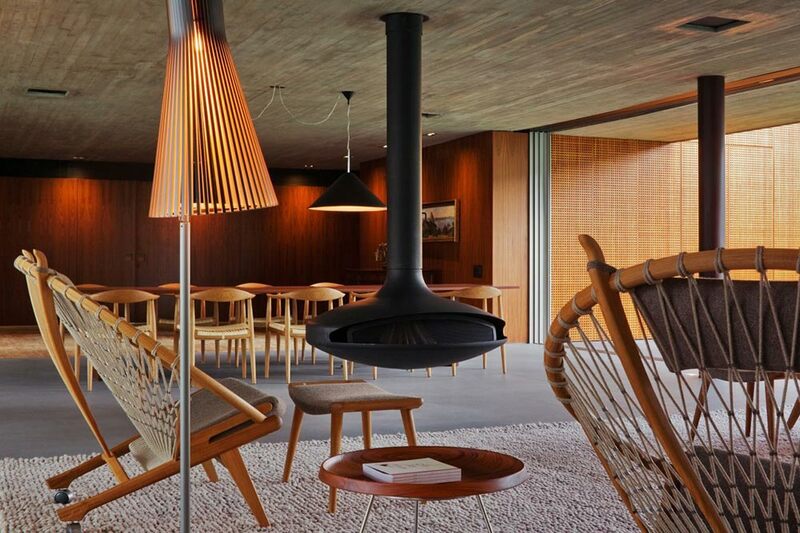 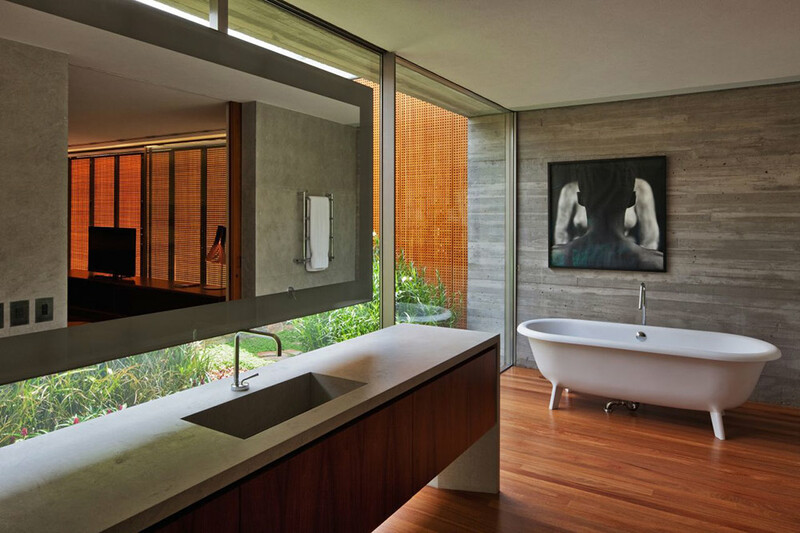 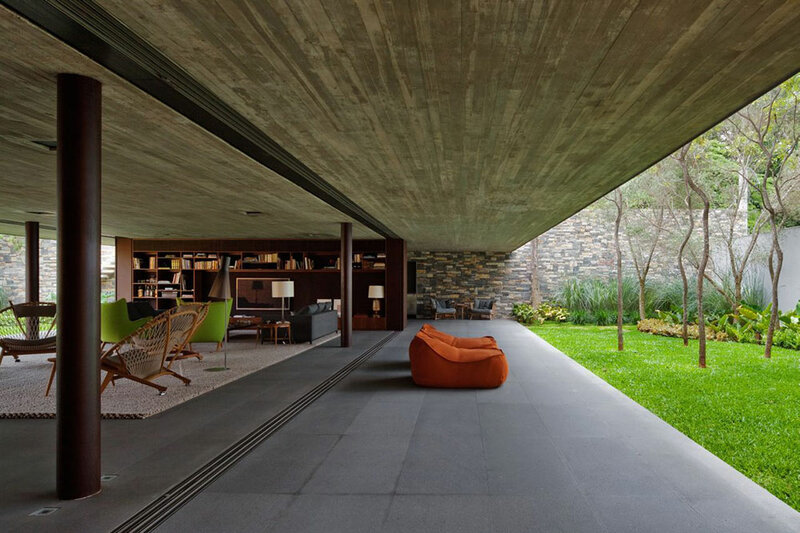 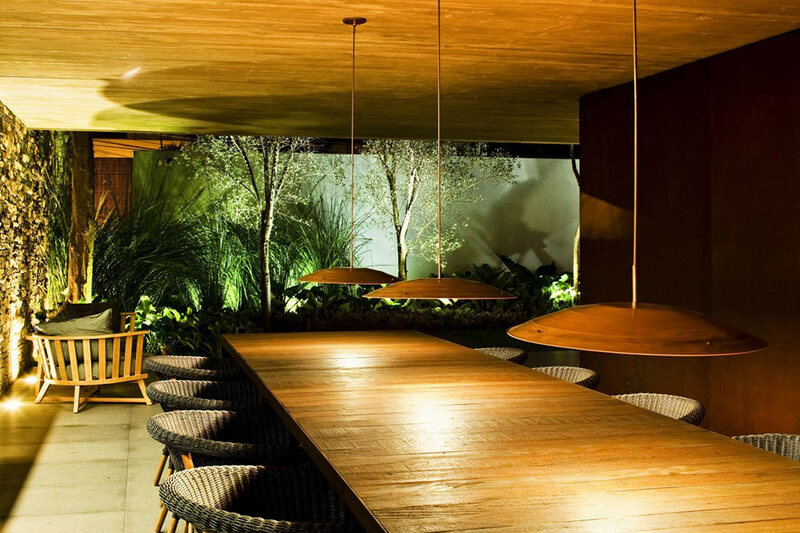 The V4 House was completed in 2011 by the São Paulo based firm Studio MK27. 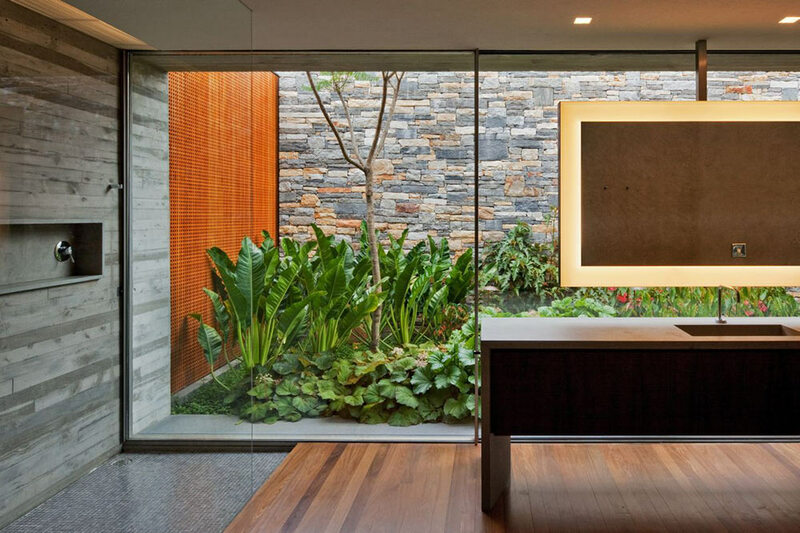 This one story contemporary residence stretches the width of the site, the open living area benefits from glass walls on both sides. 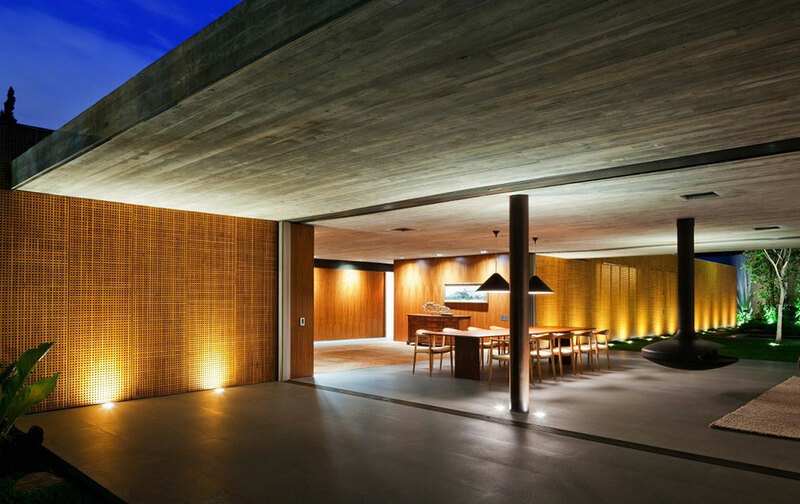 The two bedrooms are contained behind large perforated wooden panels, shading them from the direct sunlight. 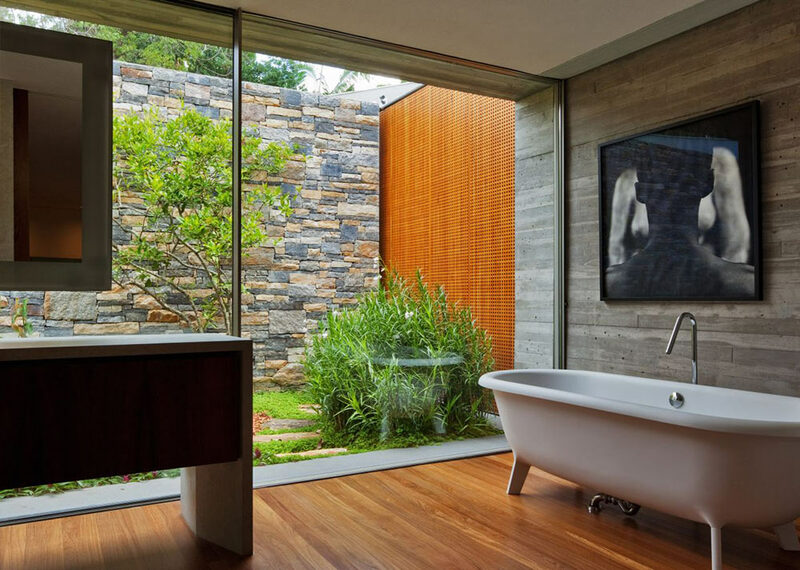 The master bathroom faces a private garden, removed from the rest of the property. 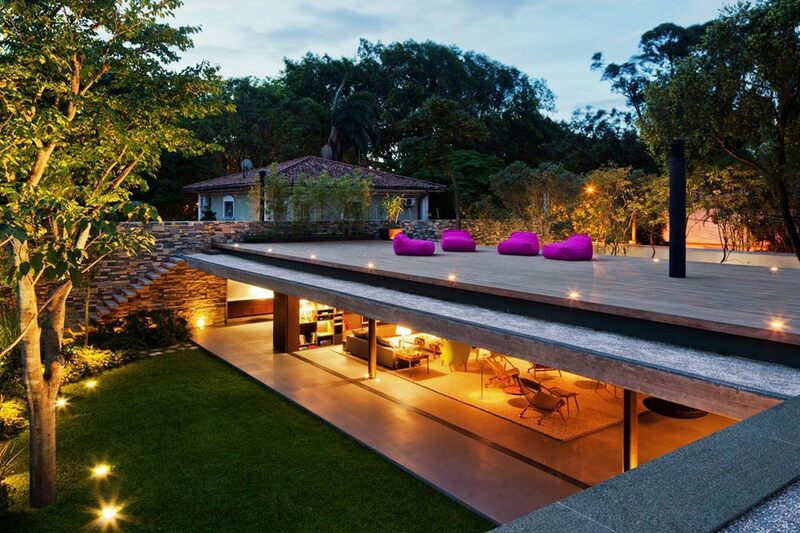 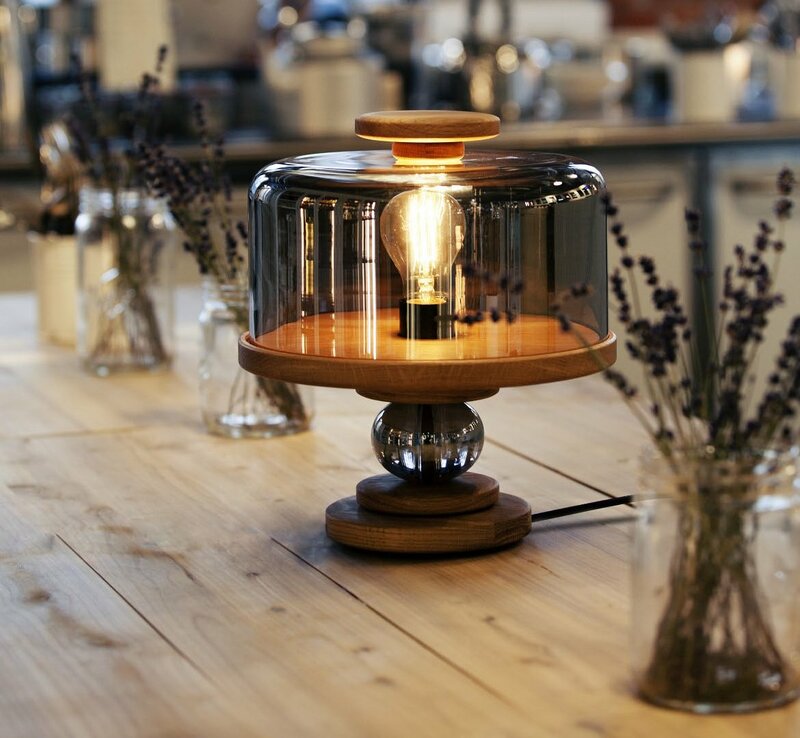 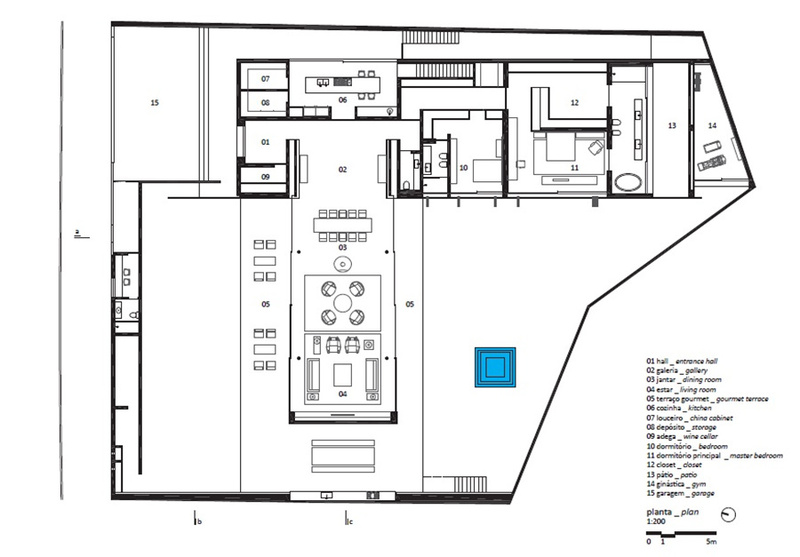 The clients requested an unusual and interesting design; an urban ground-floor house. 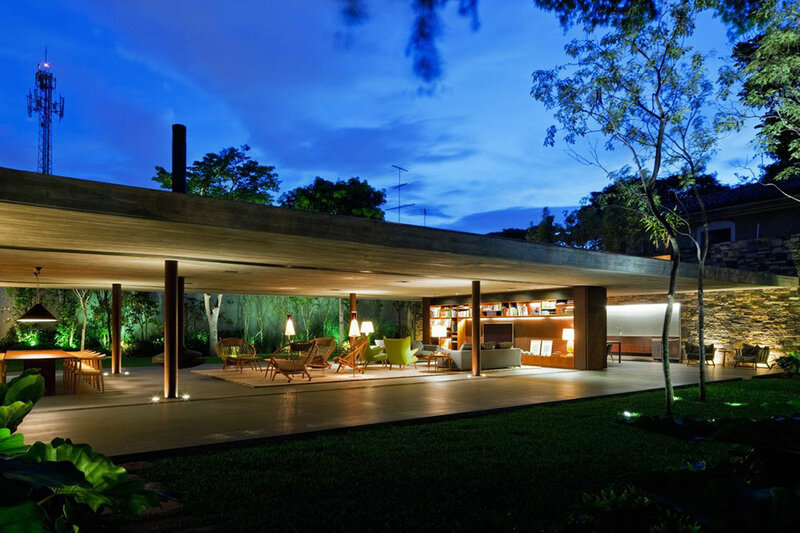 The house is located in São Paulo, Brazil.